The large fishing deck aft offers plenty of tackle storage as well as 2-jump seats with a 37 gallon livewell/baitwell in the middle. Aft there is a 37 gallon livewell/baitwell located between 2-jump seats. Mid-ship there are port and starboard recessed gunnel storage for 3 rods each side. The bow fishing deck features port and starboard rod storage lockers (5-rods each), dry storage, insulated fish box, in-floor cast net storage and a 13-gallon in-console livewell/baitwell. The center console's dash has a black acrylic gauge panel located at the top of the dash to allow room for more electronics. 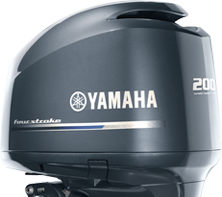 It is also shown with the matching black glove box option and Simrad® Go7 touchscreen fishfinder/chartplotter.